Time Tracker - What is Time Tracker? What is a time tracker? A time tracker is an online tool used to keep records of work hours. It helps measure employees working time and gives an insight how much time was spent on different tasks, projects and clients. 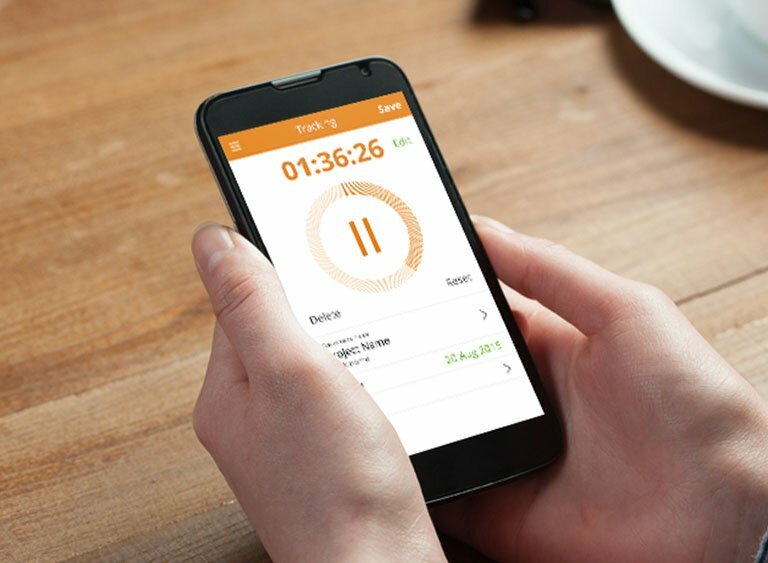 A good time tracker comes along with additional features such as hourly wages, breaks for lunch or other personal reasons. 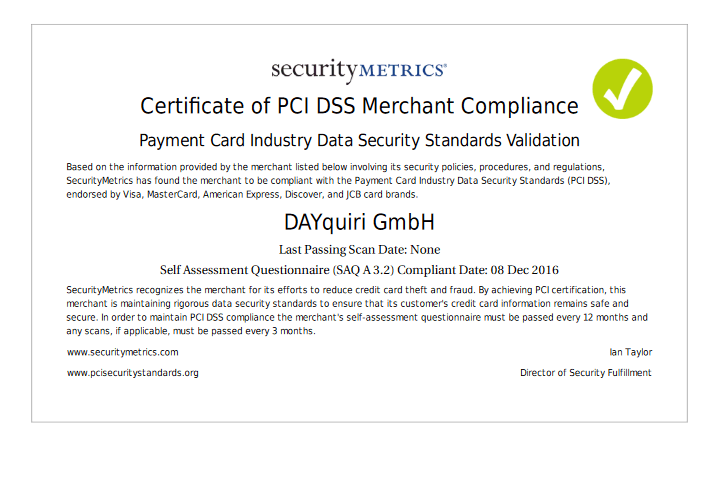 Customer user information can also be gathered through time tracking software to help improve online traffic and profit for your business. Time tracker is primarily used by freelancers and international collaborative projects to help organize and consolidate efforts made towards completing a designated task. Tracking time is really simple with online solutions like zistemo. Time tracker records work completed and is generally considered an upgrade from traditional time-sheet models. 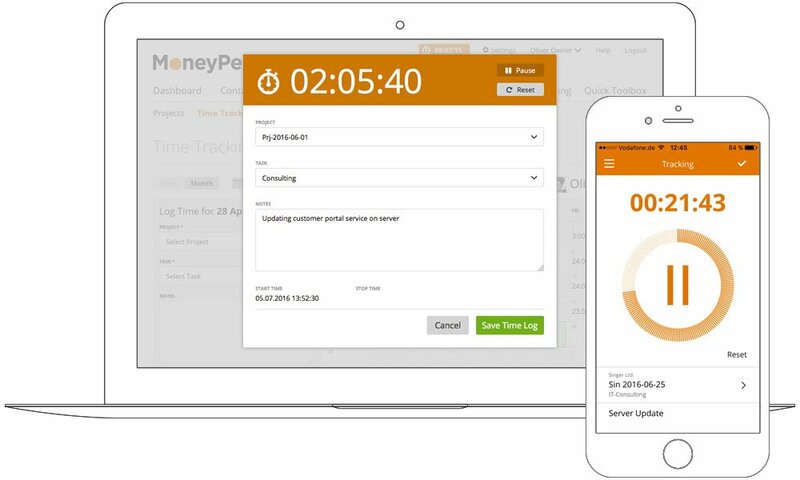 Unlike time-sheet tracking software which works with a manual input, time tracker is an automated process which can be integrated into other invoicing processes. Some of these processes include resource scheduling, project management systems, and accounting/billing systems. Time tracking tools operate in two capacities, showing not only the duration of time spent on a task but also the idle time spent during the process. With zistemo managers can also monitor employees in real time. 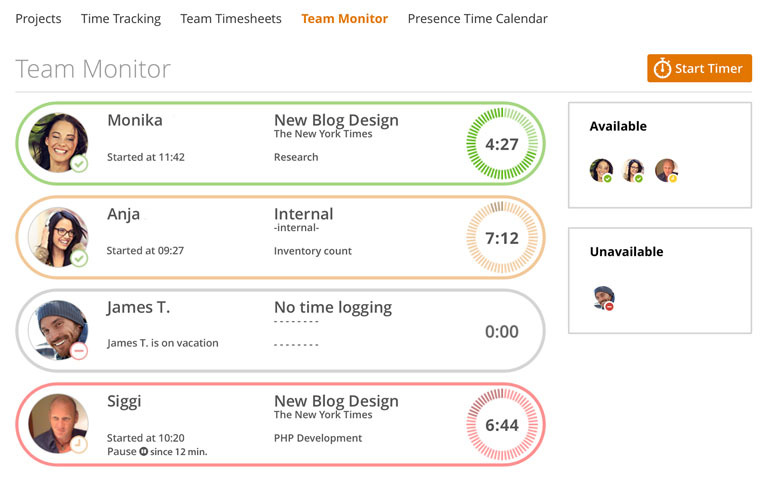 Live Time Tracking feature is designed for teams. It gives an instant insight who is working on what task, who is having a lunch brake and who is away on holidays. Overall, time tracker helps you save time and effort when it comes to tedious aspects of your business such as payroll and data analytics. First, it helps managers to be able to understand where their employees are allotting their time to better enhance productivity and focus. Secondly, time tracking tools help businesses to monitor their customer’s activities to see when and where revenue is coming from. Combined, these two sets of data can help you to make better choices about your business’ direction to stay competitive and flexible in the open market. Zistemo time tracking is also helpful for mobile businesses as team members can log in and access time tracking records around the world in real time. You can access zistemo’s online tools from your tablet, laptop, or even your smart phone making it one of the easiest ways to consolidate your many invoicing needs. This makes it easy to collaborate, manage multiple projects at once, task manage, and customize reports within a central online organization template. With a zistemo account, you can improve your employee’s time management and put more effort into the products and services that best attract your targeted customers.